The Dominican Republic will never become a developed country until it implements real immigration laws, like the ones enjoyed by wealthy democracies in Northern Europe. There was a lot of fanfare in the media a couple of years back, with globalist pundits accusing the Dominican government of planning to deport 250,000 people, a process which never took place, fully exposing the paper deportation tiger used by the ruling party to secure re-election. 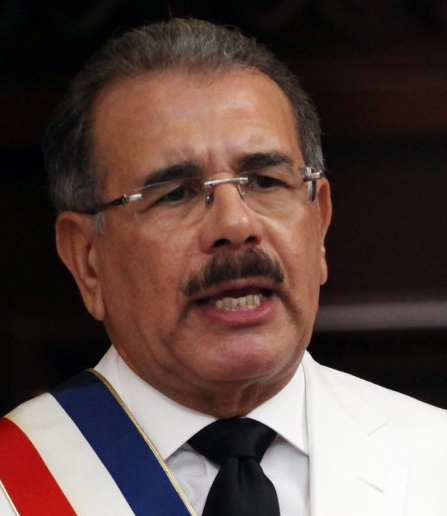 President Danilo Medina, a man described by those who worked under him as "weak" to globalist demands, has completely yielded to international pressure, mainly exerted by highly-skilled Haitian diplomats, all of whom are polyglots that completely outsmart Dominican diplomats. The Anglo-corporate media does not benefit from portraying corrupt officials who exploit their own people, since that narrative can be found anywhere in Africa. Instead of highlighting how the Clinton Foundation and its corrupt Haitian cronies robbed a desperate people of what little they had after the devastating 2010 earthquake, the Anglo-corporate media seeks to stoke racial tension, fabricating a narrative of oppression at the hands of Dominican immigration officials, a narrative which simply does not agree with the reality on the ground. While the Washington elite robbed the most destitute people in the Americas, the Dominican government offered what little resources it had, opening up its border and mobilizing every force available to help in earthquake relief. That is not the reality portrayed by the Clinton cronies in the Haitian diplomatic corps, however, and instead the Dominican Republic is presented as an evil country that deported 15,000 undocumented immigrants. It was just recently that the Dominican Congress recognized the complete inability of the country's diplomatic corps to even remotely work at disproving claims by rivaling states, passing legislation that would mandate 50% of the group be career ambassadors. Succumbing to international blackmail, Mr. Medina has dispensed over 142,000 thousand residence permits to individuals slated for deportation, many of whom could not even pay the 300 dollar biometric and background fee for the process; and he has done this free of cost, even while his own people starve. The popular digital portal Acento announced just this week that there are over a million people in the Dominican Republic suffering hunger and experiencing malnutrition, all the while the government refuses to deport undocumented immigrants, and meanwhile hundreds of millions of dollars are spent on biometric equipment and centers to freely hand out residence permits. 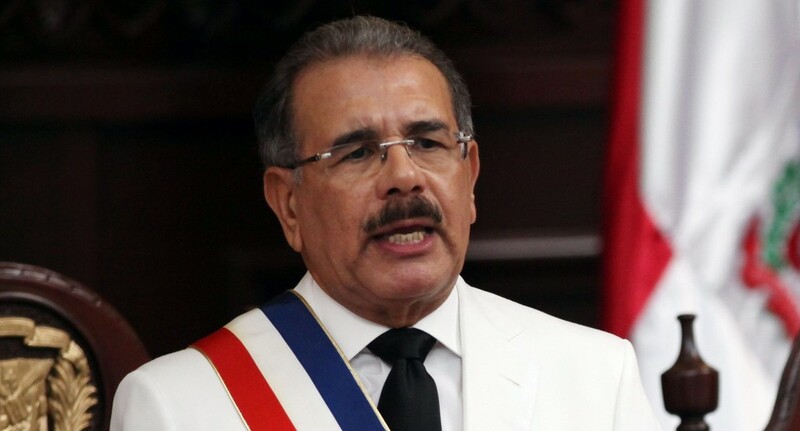 The sad fact is that the very governments currently putting diplomatic pressure on Mr. Medina to open the border with Haiti and halt deportations are the very same ones most aggressively calling for their borders to be shut to poor people. Take the Netherlands, where one of our editors was deported from despite being the son of a citizen, where the price of applying for a residence permit was 1250 euros, where pregnant women often abort because their children would be born undocumented or because their partners are undocumented and would be unable to provide for their offspring; that very same Dutch government financed a film, screened in London, accusing the Dominican government of unjust deportations, despite the island's immigration officers being too lazy to leave their air conditioned vehicles, and despite the Dominican government not even deporting people who were born undocumented. The island of Hispaniola is overpopulated, and Haiti is a failed state which cannot provide its citizens with basic documents, much less basic services; that Mr. Medina would yield when it comes to deporting people who were born to parents in-transit only shows the carelessness with which he treats the future of his people. The simple fact is that the Dominican government should not only be deporting the children of undocumented immigrants, it should also be prepared to deport dual-citizens suspected of crimes. It's not a matter of ultra-nationalism, it's a matter of survival for the very island of Hispaniola itself, as forest cover in Haiti is now almost gone, with no possible end in sight for the country's status as a failed state, a status which puts pressure on the Dominican Republic, its neighbor. The Dominican Republic holds the privilege of having America's deadliest roads, but this is not necessarily because Dominicans are the worst Latin drivers. The Dominican medical system is in a complete state of collapse, with some hospitals lacking the resources that would mean the difference between life or death for a trauma victim. If malnutrition, hospitals unable to treat simple injuries, and the threat of complete deforestation weren't enough, the Dominican school system is ranked 146 out of 148 in the world. The country does not have enough Spanish-speaking teachers, much less Creole-speaking ones, meaning that many students who speak Creole at home never get the benefit of a bilingual education. The country couldn't afford to hire more Spanish-speaking teachers if it wanted to, thus making the prospect of creating a successful bilingual program something that would take decades. While citizens starve in illiteracy, Mr. Medina hires experts from the FBI and purchases expensive biometric equipment to freely hand out residence permits to a people who simply cannot contribute to the development of the Dominican economy, since a court order prevents them from working. Mr. Medina is keeping 142,000 people in limbo, not providing them the ability to work, meanwhile they use the country's schools and hospitals and cut down trees to use for cooking charcoal. Thousands of Dominicans die per year from easily-preventable trauma, over a million Dominicans go hungry, and millions more face the prospect of never getting a proper education because Mr. Medina is concerned about his portrayal at the hands of the Anglo-corporate media. Mr. Medina himself has admitted that the most difficult part of his first term was being seen as an international pariah after a court established that the Dominican Republic could not grant citizenship to the children of immigrants in-transit, especially as the country's hospitals are free and open to any pregnant woman who crosses the border. Simply put, a man who cannot handle international pressure in the face of his country collapsing from within is not fit for the presidency. The Dominican Republic is on the fast road to committing suicide, and Mr. Medina is Dr. Death.